Spare black plastic cap catcher - opener not included. 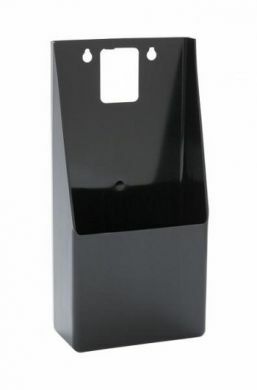 This black plastic Cap Catcher is a brilliant labour saving device, just the thing for bars, restaurants and the home. When attached to a wall you can rapidly remove bottle caps with ease and the hanging container catches them as they drop. Sold as cap catcher only. Ideal for pubs, clubs and bars.